The maestro behind Master Ha is Jason Ha, a former hotel chef whose latest passion project perfects the Korean comfort food sul lung tang, a pleasantly mild ox-bone soup that’s said to contain restorative properties invaluable after a night of partying. From the tangy kimchi to the simple-yet-modern dining room, everything here is a notch more refined than at the neighborhood’s standard soup parlors. 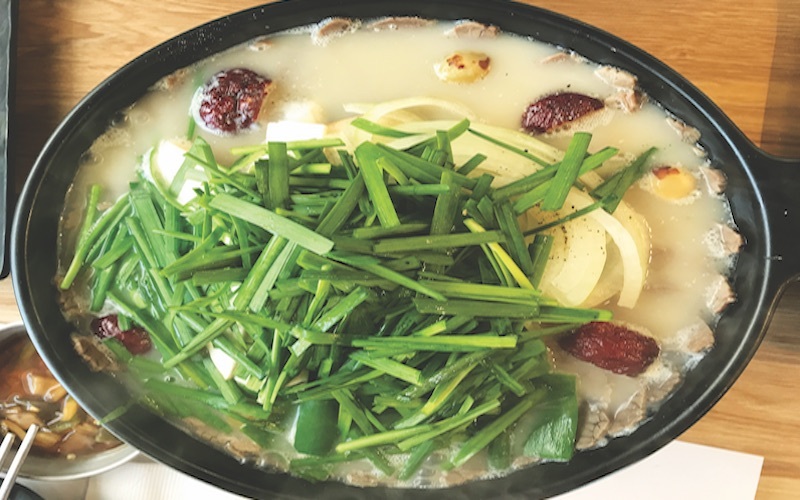 HOT DEAL: Ha simmers the bones of the signature soup ($11) in an intensive process that requires two days, yielding a milky broth seasoned tableside with green onions and sea salt. Bonus: the tender slices of brisket on top. TRY THIS: The built- for-two crab bowl ganjang-gejang ($30) features fresh raw crab marinated in soy sauce until it melts into slurp-able oblivion. It’s a delicacy that, at this price, is a bona fide seafood bargain.